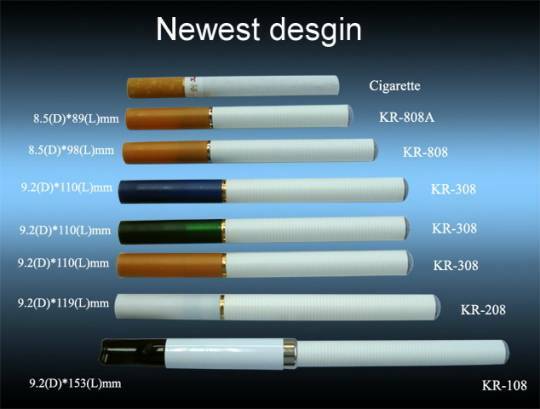 A cigalike is a small e-cigarette with a shape and size similar to that of a tobacco cigarette. Because smokers often find cigalikes familiar and comfortable, many smokers buy them when they want to try e-cigarettes for the first time. Although there are many different types of e-cigarettes on the market, some people never end up using anything other than their original cigalikes. Why mess with what works? Some years ago, there were more e-cigarette vendors selling cigalikes than anyone could possibly keep up with. Things began to change when Big Tobacco entered the c-cigarette industry, though. 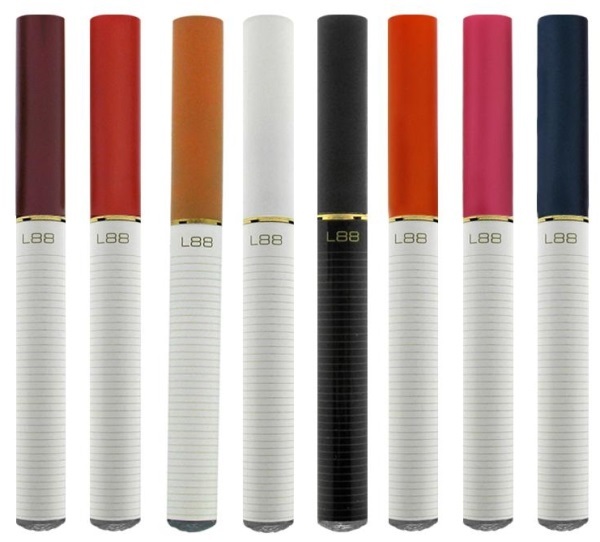 Lorillard purchased the Blu e-cigarette brand. Altria bought the Green Smoke brand and developed its own MarkTen brand internally. Reynolds American developed the Vuse brand. Since the Big Tobacco companies had the distribution networks necessary to spread their products around the world, people became familiar with the brands. More and more people decided to buy one of the “big brands” from their local convenience store when they decided to try e-cigarettes for the first time. Eventually, the smaller players in the e-cigarette industry began to fade away, and only the strongest e-cigarette vendors remained. Today, I recommend only two cigalikes: V2 Cigs and South Beach Smoke. I do not recommend the tobacco companies’ e-cigarette brands. The Chinese pharmacist Hon Lik receives the credit — and registered the patents — for the basic technology that we all recognize as e-cigarette technology today. However, smokeless cigarette development actually extends at least as far back as 1963. That was the year in which American inventor Herbert A. Gilbert filed a patent for a “smokeless non-tobacco cigarette” that would deliver moist, flavored air to the lungs. Nevertheless, it was the Chinese version that eventually became commercialized and found success with consumers. 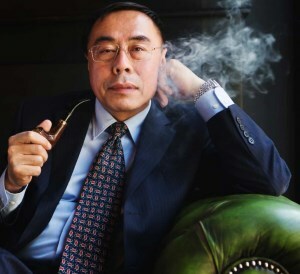 Hon Lik didn’t become rich from his invention, but he did end up with a 0.79 percent share in Ruyan — the company formed to manufacture and distribute e-cigarettes around the world. Ruyan’s e-cigarettes looked pretty different from the ones on the market today. Ruyan eventually changed its name to Dragonite, but the company no longer exists today. The British company Imperial Brands purchased Dragonite — and its intellectual property — in 2013. Imperial’s subsidiary Fontem Ventures continues to earn steady income from suing the companies it alleges violates those patents. The earliest cigalikes used piezoelectric transducers to create ultrasonic vibrations that changed e-liquid to mist for inhaling. They also used disposable plastic cartridges containing saturated sponges. The sponge would touch a stainless steel mesh bridge that acted as a wick, drawing the e-liquid toward the piezoelectric transducer. Early cigalikes didn’t produce a lot of vapor compared to the e-cigarettes that we know today. The technique of using sponge-filled plastic cartridges has fallen out of favor, too. The cartridges simply weren’t reliable enough. Today, e-cigarettes use heat — not ultrasonic vibrations — to vaporize e-liquid. The technique is more reliable and produces a much higher volume of vapor. One aspect of Ruyan remains with us today, though — the e-liquid flavor RY4. Apparently, the flavor was developed for Ruyan by Chinese scientists from Janty and Dekang Biotechnology. They developed several samples with the goal of creating a sweet tobacco flavor, and the fourth sample was their favorite. E-liquid companies around the world continue to make variations on the original RY4 flavor to this day. Chinese manufacturing companies took notice of the growing e-cigarette industry almost immediately. Before long, different types of cigalikes began to appear. Each had their own specifications and compatible accessories. The smallest cigalikes were closest in size to real tobacco cigarettes, while slightly larger cigalikes boasted larger cartridges and longer battery life. The diversification of the e-cigarette industry resulted in a wide array of e-cigarette models that are mostly obsolete today: 801, 901, RN4081, L88, 510, KR-808 and so on. Thankfully, it isn’t really necessary for most people to know anything about e-cigarette model numbers today. The vast majority of cigalikes that use one of the old standardized threads use the KR-808 thread. The rest generally use proprietary attachments that don’t work with other devices. There are some exceptions, but they are rare. Today, the e-cigarette industry has largely consolidated to the point where most people either buy cigalikes from major tobacco companies through local stores, or they buy from the few independent e-cigarette companies large enough to weather through the industry’s consolidation phase. As I mentioned above, I recommend just two cigalikes today: V2 Cigs and South Beach Smoke. They are the best performing and most advanced cigalikes on the market. Both companies have limited lifetime warranties available for repeat customers, and both offer much lower prices for refill cartridges than any tobacco company’s e-cigarette that you can buy in your local convenience store. It is my opinion that you’ll do yourself a disservice if you introduce yourself to e-cigarettes with any brand other than those two. V2 Cigs (Official Website) has the most advanced cigalike currently on the market in the form of the V2 Cigs EX Series. The EX series looks absolutely spectacular. The cartridges are hollow in the middle, allowing them to store more e-liquid than most e-cigarette cartridges because there’s no filler material taking up most of the space. Each battery comes with a matching cap that you can use to cover the cartridge for a sleeker appearance. The batteries last a super long time, and each one has an LED indicator showing you the remaining charge at a glance. V2 introduced a very unique feature a number of years ago. To this day, no other e-cigarette company has managed to copy it. V2 conducts batch tests of each e-liquid shipment it receives. You’ll find a batch number on every box of cartridges or bottle of e-liquid. You can go to the V2 Cigs website and read the batch test for the exact product you have in your hand. Go to the V2 Cigs website and click “Customer Care” at the top of the screen. Select “Batch Testing” from the drop-down menu. Enter the batch number for the product that you have and click the “Get Batch Results” button to view the lab test. It’s such a cool feature — and you can test it with the sample batch numbers on the page. V2 has a library of batch tests going back several years. 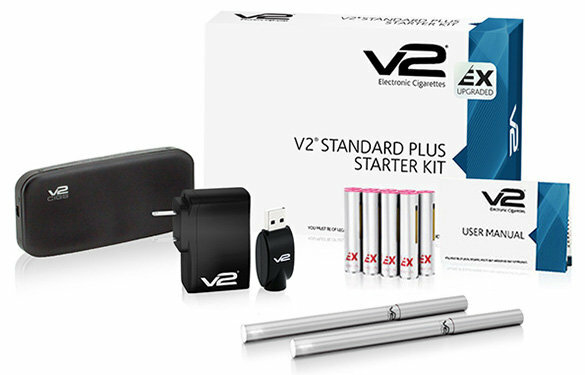 V2 Cigs offers a 30-day satisfaction guarantee on all starter kits. In addition, you’re eligible for a limited lifetime warranty if you’ve purchased e-liquid or cartridges within 90 days of requesting the replacement — up to a maximum of five replacements per order. V2 limits replacements of the more expensive V2 Pro line to three per order. You can use the coupon code VAPEGRL15 to save 15 percent on any V2 Cigs standard or EX starter kit. Use the coupon VAPEGRL to save 10 percent on most other items. V2 Cigs starter kits are priced from $39.95. South Beach Smoke (Official Website) lacks some of the technological advancements present in V2’s products. However, the product still performs far better in my opinion than any of the tobacco companies’ e-cigarettes. South Beach Smoke makes up for the slightly more utilitarian product by offering it at a far lower price. South Beach Smoke’s cigalikes start at just $19.99 — and you’ll pay even less than that with the coupon code embedded in my link. 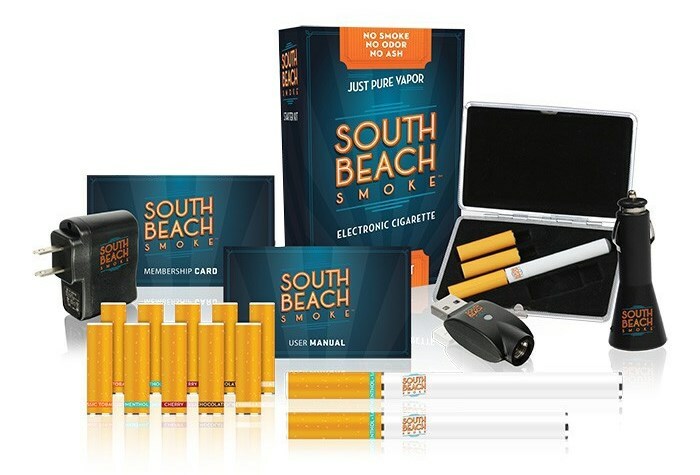 South Beach Smoke is one of the few major e-cigarette companies that sells cigalikes and sources its e-liquid from within the United States. They’re able to do that because they’re the sister company of VaporFi, one of the largest sellers of e-liquid and larger e-cigarettes such as box mods. In general, USA-made e-liquids offer flavor profiles superior to those of Chinese-made e-liquids, although there are exceptions on both sides. With 16 flavors in all, you’re certain to find something from South Beach Smoke that you enjoy. My link to South Beach Smoke contains an integrated coupon code that’ll reduce the price by 15 percent when you buy any South Beach Smoke product. You can also save money on your cartridge purchases by joining the Home Delivery program. Simply schedule an automatic monthly shipment of cartridges, and you’ll save 20 percent off of the standard retail price. You can cancel any time you like. Like V2 Cigs, South Beach Smoke offers a 30-day satisfaction guarantee. If you don’t think it’s the best cigalike for your money, just send it back for a refund. If you’re enrolled in the Home Delivery program, you’ll also enjoy a lifetime warranty on the non-consumable items in your starter kit. If something fails before it should, South Beach Smoke will replace it. As I mentioned above, all of my links to South Beach Smoke contain an embedded coupon code. When you check out, you’ll see an automatic discount of 15 percent in your shopping cart. Use the discount to stock up on extra cartridges before you check out! Now, you know pretty much everything there is to know about cigalikes. You know about the history of cigalikes, and you know the best cigalikes currently on the market. Do you actually want to buy a cigalike, though? I always recommend cigalikes to people who are new to e-cigarettes. The only e-cigarettes on the market that are easier to use than cigalikes are disposable e-cigarettes, which I don’t particularly recommend — disposable e-cigarettes simply cost too much for long-term use. With a cigalike, there’s nothing that you need to do except charge the batteries and twist on the cartridges. Cigalikes are simple, and they always give you the experience that you expect unless a battery dies or a cartridge is dry. If the flavor quality or amount of vapor begins to decline, determining the cause of the problem is an easy task. There’s nothing to troubleshoot, nothing to tweak, nothing to refill and no bare battery cells to handle. If you’re trying to switch from smoking to vaping, the simplicity is exactly what you want. With simplicity comes less options. If you opt for a larger e-cigarette such as a vape pen, you’re going to get an e-cigarette with much longer battery life, much higher vapor production and a refillable tank that allows you to use the e-liquid of your choice. With a few exceptions, you pretty much need to use the cartridges intended for your device if you use a cigalike. There are some vaping options that are more affordable than cigalikes, too. A cigalike cartridge doesn’t just include e-liquid — it also has a metal enclosure, threading and a heating coil. You’re buying all of that hardware each time you buy a new cartridge. If you buy e-liquid by the bottle, you’ll pay a lot less. Beware, though. If you buy a “sub-ohm” e-cigarette, you’ll be buying something engineered for extreme vapor production. Generally, only experienced e-cigarette users buy sub-ohm devices. Sub-ohm e-cigarettes consume e-liquid rapidly and often do not cost less to own than cigalikes. They’re also not for beginners. If you do decide to buy a vape pen rather than a cigalike, make sure you’re getting one that’s appropriate for beginners. Because of your recommendation, I have tried the V2EX and the South Beach Smoke. I like them both. I have also tried a cigalike by Green Smoke, and it compares quite favorably to the South Beach product. In spite of all your recommendations, I enjoy the cigalikes better than most other ways of vaping. Clayton, I believe it’s possible that the people who prefer cigalikes are a sort of silent majority. It’s hard to tell, though, because there are no statistics tracking online sales and vape shop sales reliably. I know there’s a chance that I would have stuck with cigalikes forever if not for the fact that, when I switched to e-cigarettes, the cigalikes that were available simply didn’t work very well. People who buy cigalikes today have a much better experience than I did seven years ago. So I’ve been with Greensmoke for at least 2-3 years and they have been very good in terms of quality, service, and decent prices; but lately their customer service hasnt been what it used to be, they changed and cancelled flavors as well as minimizing juice in cartomizers, and their prices skyrocketed all since they got rid of certain flavors and changed their packaging. When I found out I can refill the cartomizers (although they make it difficult), I’ve saved a lot of money and now am looking to switch to something as close to Greensmoke (or how it used to be) as possible. And I’m hoping to refill the cartomizers whenever I please, do you think V2 is similar or at least can their cartomizers fit the long Greensmoke battery? You’re not the first person who has contacted me with comments like those! South Beach Smoke cartridges will work with the Green Smoke battery. The threads are exactly the same. V2 Cigs cartridges will work with Green Smoke too, but only with an adapter. V2 sells the appropriate adapter in the “Accessories” section of their website. As I write this, a pair of adapters costs $2.36. Thanks! I actually got the V2 starter kit. I read how many issues people have with their shipping so I checked in with them almost everyday. After bugging them for a whole week they finally processed my order and it came a week later. I got the Sahara 2.4 flavor and it tasted like captain crunch mixed with warm orange juice but now, I don’t mind it as the throat hit makes up for that and my taste buds have gotten used to it. But that’s also because I went out on a limb and ordered a Halo starter kit. I thought that would be better but the Tribeca flavor that’s been said to be their highest selling e liquid isn’t that great to me. I know I sound picky but it’s my money that I’m spending and I want to make sure it’s worth it! So I tried the Halo Cafe Mocha because they had a sale and it’s too weird. It tastes like Roses with a hint of dog food. Maybe it’s just me. When I ordered my V2 starter kit I got coffee also and that was the best. No weird flavors trying to be more than what it is, just straight up roasted coffee beans and it’s delicious. So I ordered more e liquid from them. I have blanks from Halo and have been using only 3 cartridges the past 2 weeks now, definitely worth refilling since a pack of 5 blanks cost 4.99 and one pack could last a month. Add the e liquid maybe 25 dollars per month and I’d only be paying 30 a month which comes out to 360 a year which is over half of what I used to pay for Greensmoke. Anyways I kind of went on but thanks for the heads up on the adapters! I’ve decided to be done with Greensmoke. They never told me about the 3 month expiration date for my reward points nether did try send me any notice before they expired so my 65 dollars worth of points vanished. I have so many cartridges from them I’m turning them into more reward points but even then, I can’t use all of my points for one transaction, they make you pay 50 percent. So if I had 60 dollars worth in points and I wanted to get 60 dollars worth of cartridges, I could only use 30 dollars of that and have to pay 30 dollars of my own money. I get it. I just miss how they used to be when I could use all of my points at one time. Anyways, I’m just venting and hopefully if anybody else sees this they know now how much money they can actually save. Thanks Vapegrl for all the info you put on here it’s a wealth of information! I hope you’ve gotten one step closer to finding your ultimate vape. The Coffee flavor from V2 Cigs is one of my favorites, too! Curious to know if the e-cig catridges from Vaporfi are compatible with the SBS deluxe e-cig batteries, also if the SBS catridges that come with the deluxe e-cig kit are refillable. Yes, they should be compatible. VaporFi and South Beach Smoke have the same parent company, so any cigalike hardware and accessories between the two brands should work together. Need to get my mother (age 76) off actual cigarettes. She currently smokes Virginia Slims 120s…what version the e-liquid should I consider getting for her. Tried finding a cigalike locally and none of the Vape Shops recommend them — so they don’t carry them. Just need help sorting all of this out. I have never smoked (mostly because both parents smoked 5 packs between them growing up). Any advice appreciated. 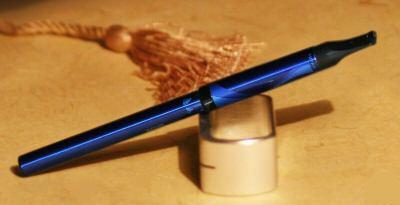 Have you taken a look at my article about the best e-cigarette for beginners? I am glad that my Vapour2 is in this article as one of the best. I absolutely agree. From the simple design to the long lasting battery and easy charging everything works perfect to me. I´m grateful for this product.